America has entered the “coal cost crossover” where existing coal is more expensive than cleaner alternatives. Today, local wind and solar could replace 74 percent of the U.S. coal fleet at an immediate savings to customers. By 2025, this number grows to 86 percent of the coal fleet. At least 36 GW of uneconomic coal-fired capacity is forecast to be retired by 2024. These policy briefs highlight how to help utilities balance stakeholder interests, facilitate the financial transition away from uneconomic coal, and help states embrace clean energy. When electric utilities transition from fossil fuels to clean energy, they must address unrecovered investment balances. Depreciation schedules are often accelerated to line up with earlier-than-planned retirement dates, which can increase short term consumer rates. This brief reviews how utilities can refinance undepreciated balances on plants in service to lessen the consumer rate burden, primarily through replacing some portion of equity with corporate debt. Depreciation accounting recognizes asset value reduction over time. For coal plants, depreciation determines the value remaining when plants retire early. Depreciation is an important tool for transitioning away from older assets, such as coal plants, to cheaper resources, such as wind and solar. This brief reviews how depreciation schedules affect utility earnings and ratepayer costs, as well as other stakeholder interests. Early retirement of uneconomic coal assets can improve shareholder earnings if a utility is allowed to reinvest capital in new renewable energy generation. When building new renewables is cheaper than operating existing coal, swapping steel for fuel adds value for investors, customers, and the environment. This brief addresses equity shareholder perspectives and suggests how potential funding sources can mitigate impacts on communities and workers affected by early plant retirements while improving environmental performance. By analyzing publicly available financial information, policymakers and utility stakeholders can identify where running existing fossil fuel generation costs more than replacing it with new wind or solar. A suite of financial instruments can facilitate and reduce costs of this financial transition away from fossil fuels toward clean energy. 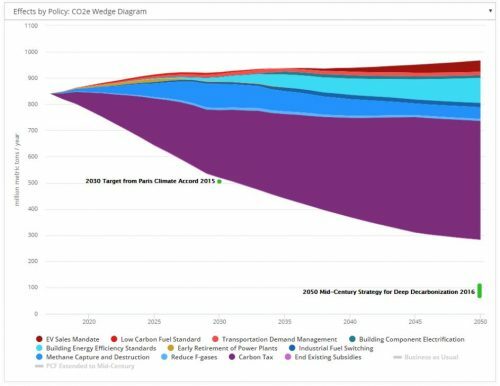 This brief uses Colorado’s experience transitioning from coal to clean energy as a case study analyzing existing generation costs, and introduces financial tools to help electric utilities that own fossil generation manage the clean energy transition. Energy Innovation’s new book Designing Climate Solutions is the first policy manual for low-carbon energy and is the first book to identify the 10 policies, applied to the 20 highest-emitting countries, that can reduce emissions fast enough to stay below 2°C of global warming and avoid the worst impacts of climate change. The Trump Administration has proposed directing funds to keep uneconomic coal and nuclear plants online. This research note assesses the $2 billion in subsidies that would be needed to keep the six plants owned by FirstEnergy in the Ohio Valley in operation, and finds the funds would be better spent supporting economic transition for the power plant communities and displaced workers. This research paper outlines how competitive electricity markets are undergoing a rapid transformation from systems with large, inﬂexible baseload resources to ones with smaller, modular, variable resources. Enabling a smooth transition requires making the grid more ﬂexible, and a signiﬁcant amount of unused ﬂexibility exists in the system, but harnessing it requires market rule changes.